Industrial doors, shutter doors, rapid doors generally use H (180 °) or F (90 °) form a complete set of aluminum strip brush, brush the height of the commonly specifications is 35 mm, 50 mm and 100 mm, wool with PP, PA.
KFC door general use 3*3*15mm specifications, wool PP, PA, wool, do not need matching aluminum strip. Revolving door generally use T (90 °), aluminum strip, with wool or fur brush, brush the total high routine 25,35,45,55, still need to brush with 90 ° corner. 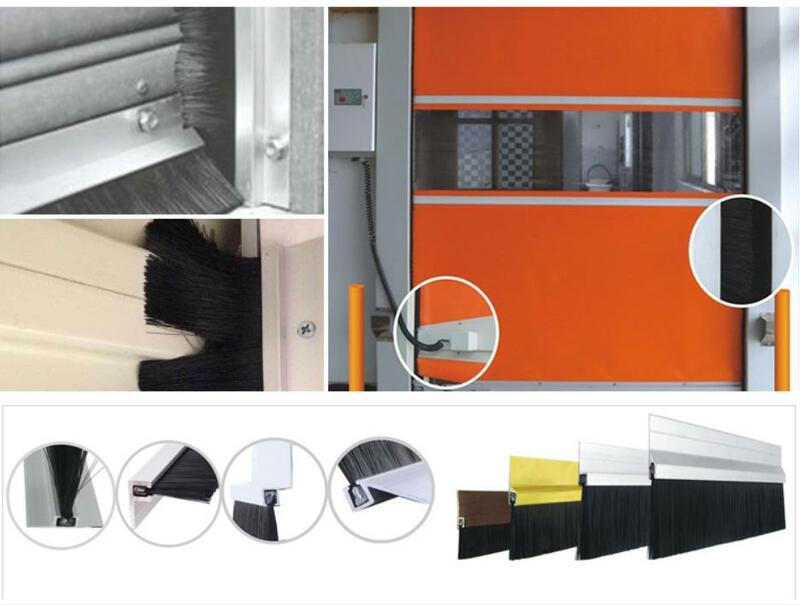 The above brush specifications are general, if necessary, we can produce the Industrial door brush according to customized requirement.